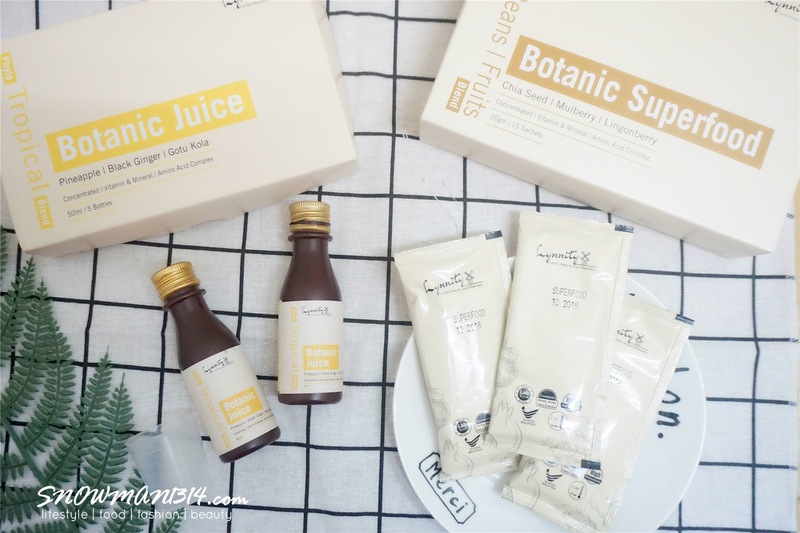 Stay Healthy with Lynnity Botanic - Botanic Superfood and Juice! Lynnity (Let the Farm be your Pharmacy) believes that plant is the best way to support good health and always desire to discover the planet's natural wealth of superfoods and share them with everyone. Lynnity continues to push the boundaries of innovation with an uncompromising commitment to authenticity, exceptional taste, and unique, functional phytonutrients ingredients. Phyto-nutrients are components of plants that are powerful defenders of health. Studies show that people who eat more plant foods have reduced the risk of chronic diseases such as diabetes, heart disease, and cancer. In the human body, phytonutrients stimulate enzymes that help the body get rid of toxins, boost the immune system, improve cardiovascular health, promote healthy estrogen metabolism, and stimulate the death of cancer cells. Consuming an adequate amount of phytonutrients through food or supplements will help keep our bodies functioning at an optimum level. 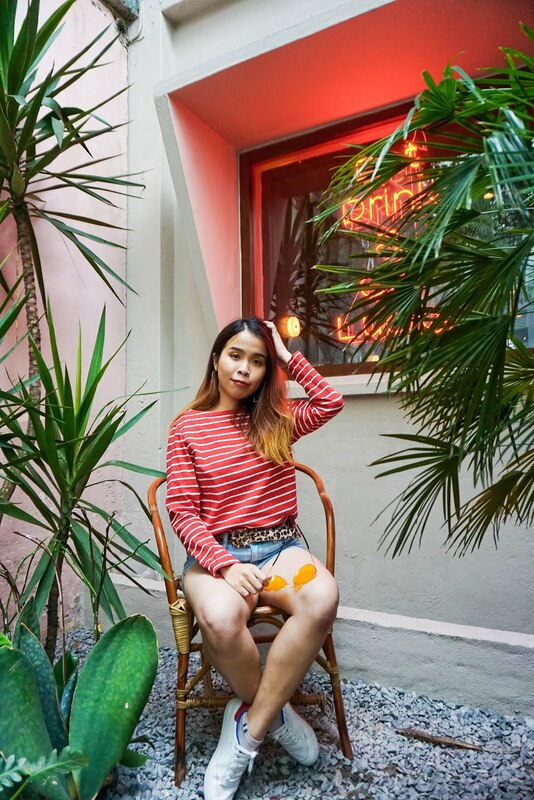 Combining scientific research and nutritional expertise with a passion for helping others, Lynnity offers nutritional supplements and juices made from real foods your body can absorb. 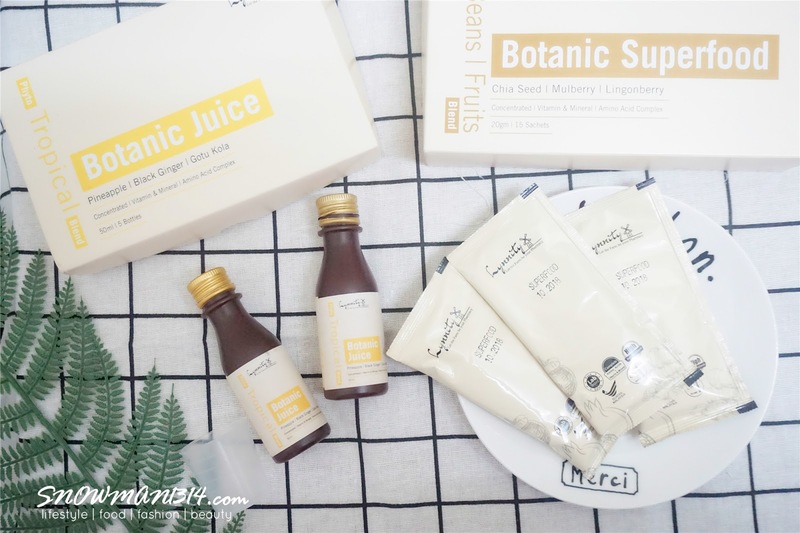 Finally, in Lynnity they prepare their supplements and juices with high-quality processes to preserve the nutrients and deliver great products for your optimum health. 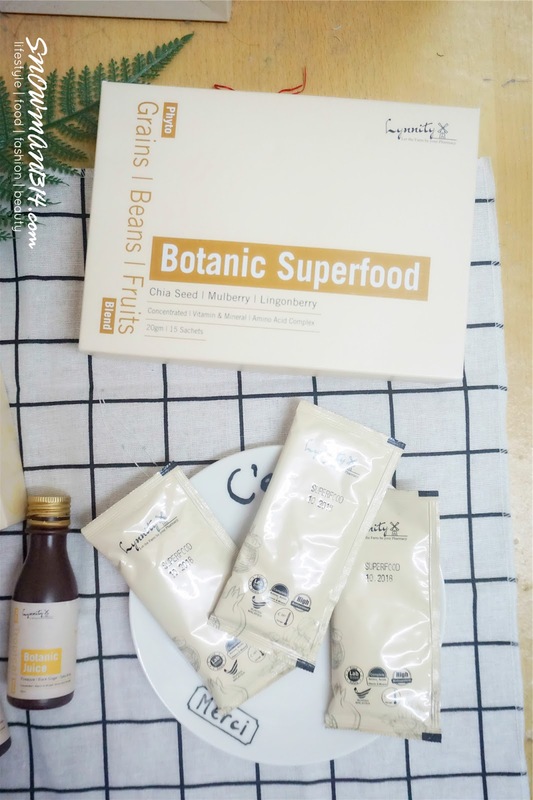 Botanic Superfood (Phyto Grains, Beans & Fruits Blend) is formulated to compose a nutritional complete superfood from four key food groups to deliver a healthy eating, healthy living, and healthy family. 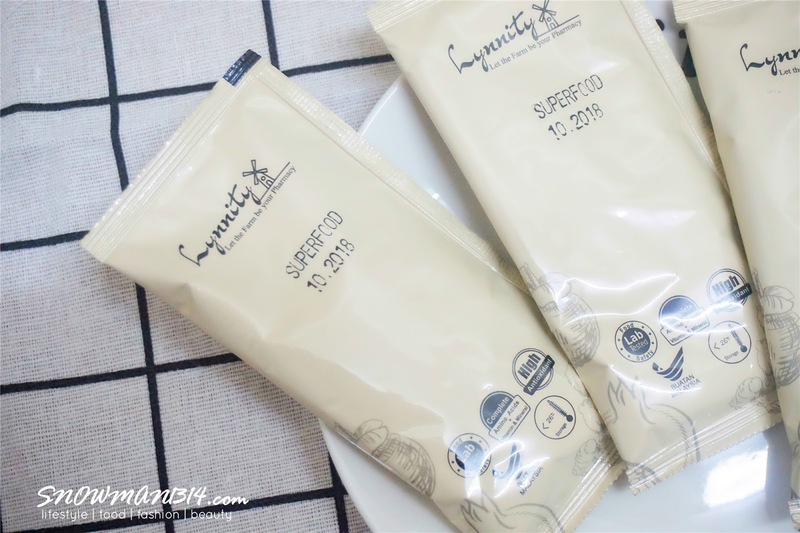 Expired date of Botanic Superfood and Food Certified. With Phyto-Grains in Botanic Superfood, it supports Eye Health, Body Growth, Brain development for Kids, Boost Energy and Immune System for adults and elder. Pomegranate, Black Ginger, Mangosteen, Oat Bran, Spirulina, Mulberry, Lingonberry, Chia Seed is the nutritional super food that our body needed. 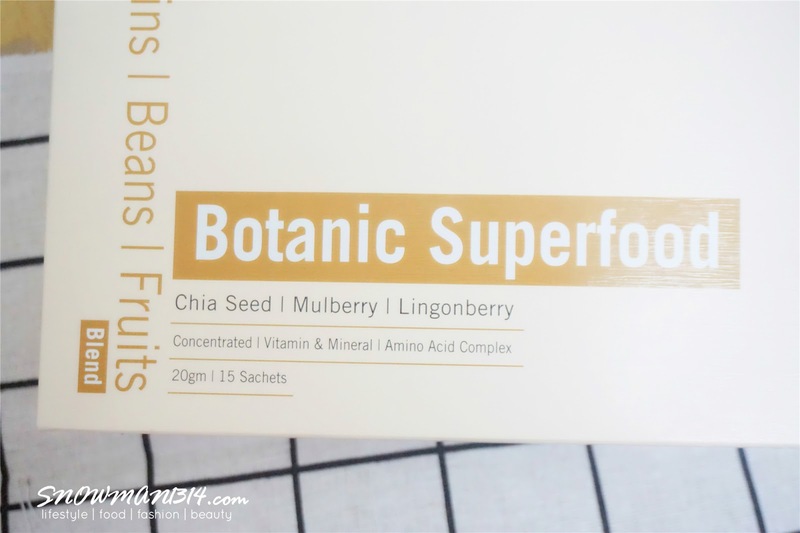 If you want to enjoy this all super food nutrition that our body need, you should go and try this Botanic Superfood. 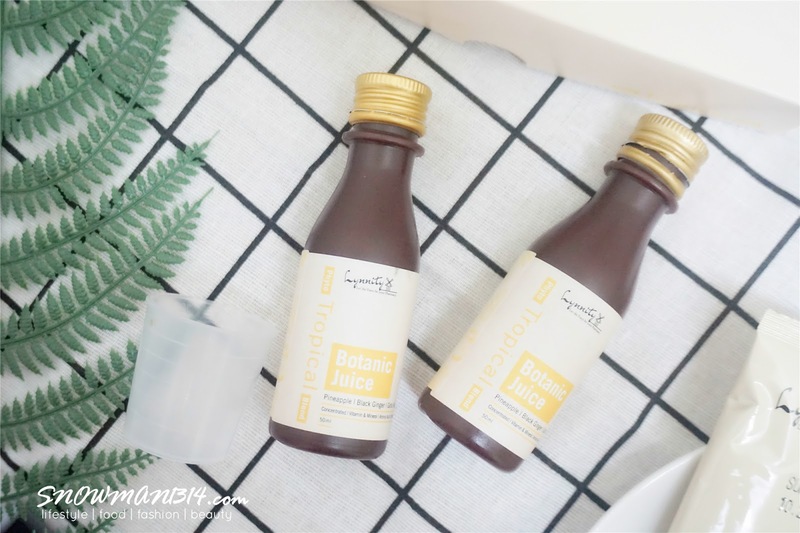 Botanic Superfood is formulated to incorporate the concept of HEALTHY DIET = HEALTHY FAMILY by presenting a formula of NUTRITIONAL COMPLETE SUPERFOOD. 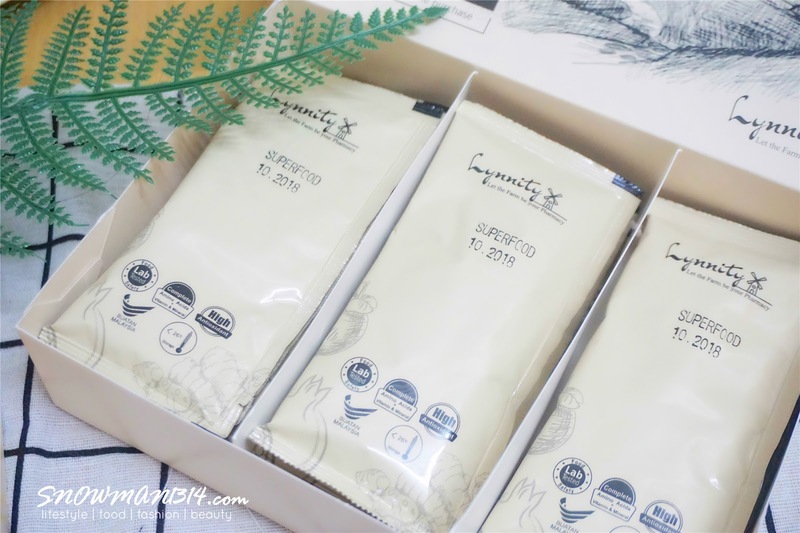 The color and the taste of Botanic Superfood. 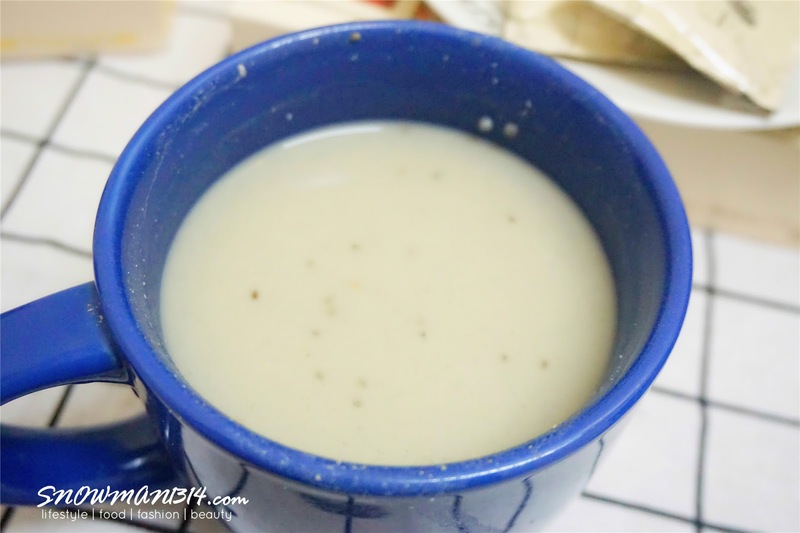 Mix with 200ml lukewarm water and consume with breakfast, lunch or dinner. The taste is still acceptable for me, I don't really enjoy drinking yucky healthy drinks. But for me this is still ok, at least I can still noms some grains while I consume this superfood. Super yummy and healthy! If you wish to go slim easily and boost up your metabolism, try out this Lynnity Phyto Tropical. 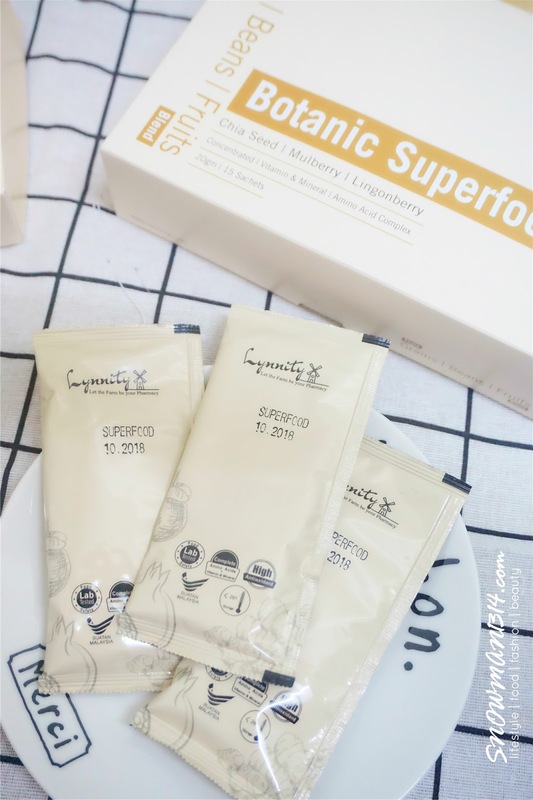 Lynnity Phyto Tropical is a solution with a combination of Phyto-Nutrient from natural plant & fruits extracts to show promising slimming effects. Lynnity Phyto Tropical accelerates the breakdown of fat and fat-burning, boosting of metabolism and toning the digestive and immune system in a natural way without burden the body. Lynnity Phyto Tropical contains a magical fruit-extract, which suppress appetite in a natural way by affecting the amount of leptin in the bloodstream. 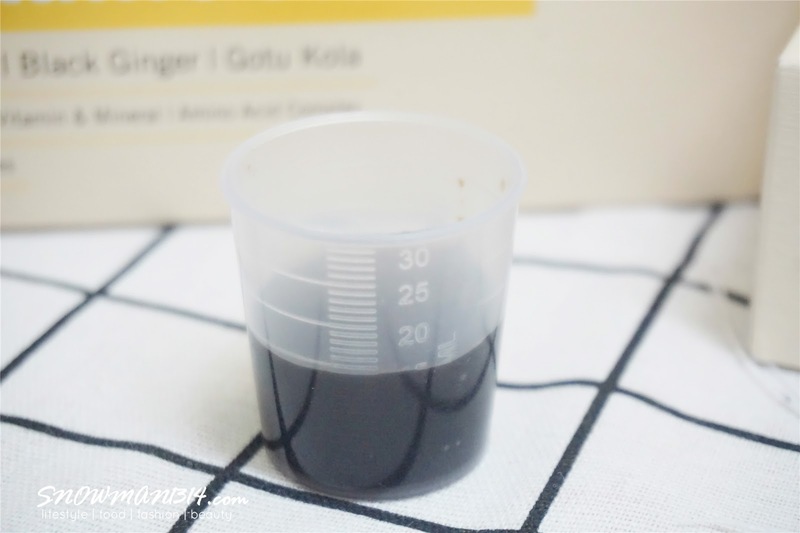 Besides, Lynnity Phyto Tropical contains black ginger which is effective in improving skin roughness, toning GI tract, fat absorption suppressing, improve hyperlipidemia and reduce fasting hyperglycemia. 1 box contains 5 bottles and 1 bottles are is in 50ml. I love the bottles are not too big but good enough to bring around. 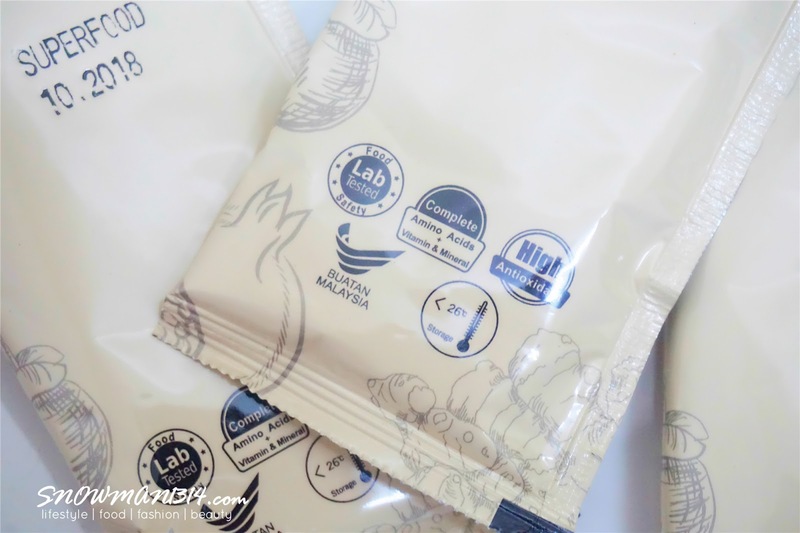 They also provide 1 small cup for consumption, just consume 1-2 cups by using provided cup after breakfast and/or lunch daily. Each time just drink a 15ml of this small cups. 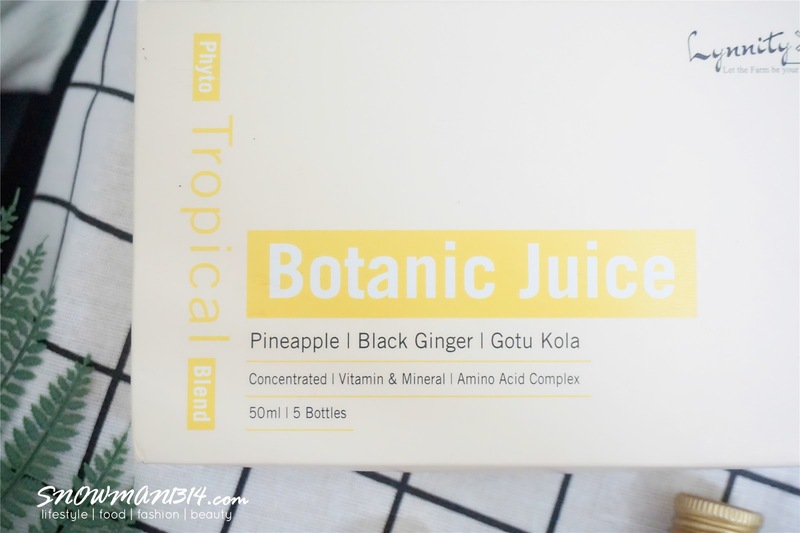 The taste was a bit heavy since their key ingredients Pineapple, Mangosteen, Prune, Spinach, Celery, Parsley, Black Ginger, L-carnitine, L-arginine, Taurine, Guarana, Gotu Kota (Centella Asiatica). You can also drink it with water to break down the taste. It was rather sour and a little of bitter which I can still accept it. I drink it as it own without mixing with any water. ✅Convert large molecule of stored fats into energy and expand it - safe as well as effective fats burning solution. ✅Enhance body detoxification - remove toxic substances in the body. ✅Stimulate metabolism - improve blood circulation system. ✅Hormone regulation and improvement of the lymphatic system - essential for cellulite appearance removal. ✅Supply plentiful of vitamins, minerals, enzymes, protein, amino acids and other micronutrients - ensure the body receives a healthy amount of nutrients. ✅Lower the C-reactive protein (CRP) level in the body and allow leptin accomplish its job as the appetite suppressant - no more gluttony. ✅Reduce the absorption of carbs, proteins, and fats; prevent fats storage to maintain the body curve. - Suitable for adults age 16 and above. - Pregnant woman and patients with illness and serious medication should seek advice from a doctor before taking this product. During my consumption period, I did not feel discomfort or diarrhea upon taking this 2 products! 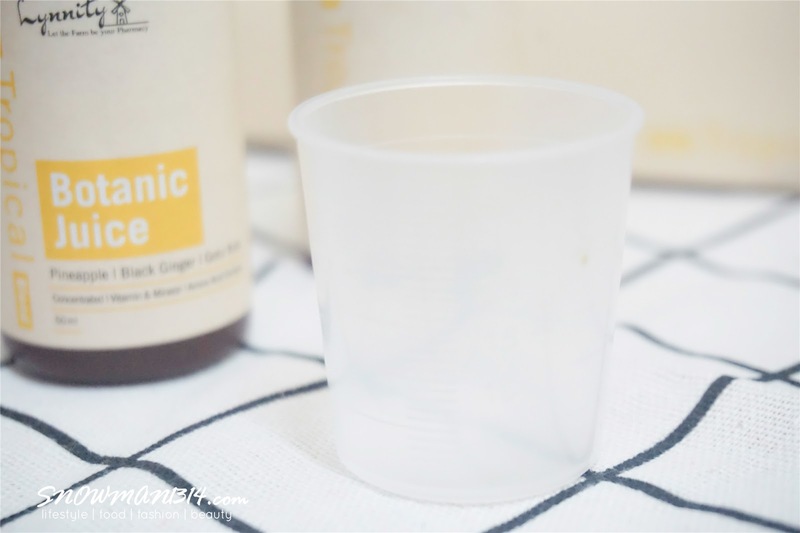 It did helps to reduce my body gas and my body feel lighter after taking 2-3 times of the Botanic Superfood. I even have smooth bowel movement and digestion drinking Lynnity Phyto Tropical Botanic Juice. I will still continue taking both of this products to balance out my healthy and diet meal until my wedding days come. For more info, kindly check out their facebook page! Really? That's was a really great combination, I think everyone has their own preferences! I'm just trying to explore superfood shakes. Haven't heard of Lynnity yet but am keen to try due to the many benefits that some with the drinks. my health hasn't been that great lately. I can definitely use a healthy product to boost my health. Thanks for bringing this to my attention. Hopefully, it can help me improve my health. I bet those super nutrient makes you feels fuller and energized. How much are they? 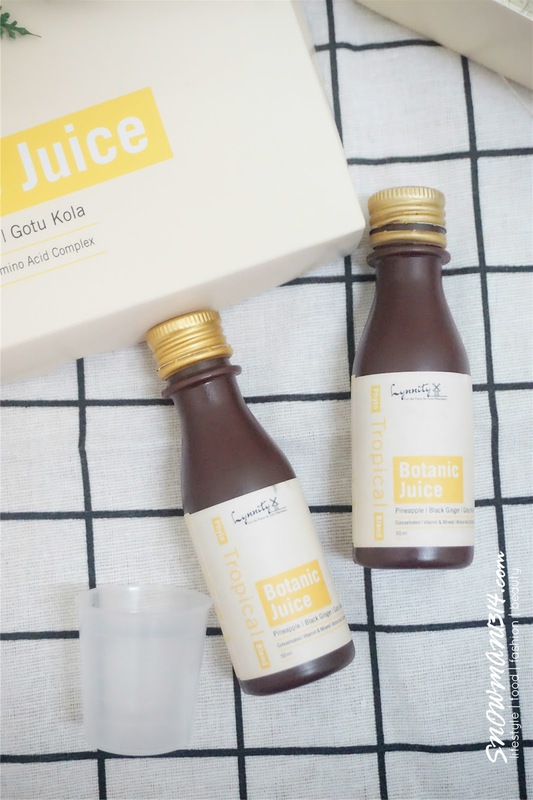 I've never heard about this product because it's not available in the Philippines (as far as my knowledge goes) but, this sounds really healthy. I hope they expand their market here. ooo this looks interesting! I like the thick texture of your drink, should try out if i got the chance! I want to try this product. Look nice. Comfy and Colorful KORNNA Shoes now at My Town!! Neutrogena Deep Cleanse Set - Happy Skin 24/7!